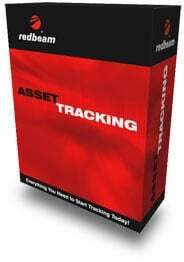 Use RedBeam RFID Asset Tracking to track computers, equipment, furniture, vehicles and other valuable assets using this comprehensive fixed asset tracking application and powerful RFID (Radio Frequency Identification) technology. RFID Asset Tracking is a practical application allowing for data collection using RFID-enabled mobile computers, eliminating the need for line-of-site barcode scanning. This powerful RFID asset tracking solution supports Windows XP, Server 2003 and Vista. The RedBeam RB-RAT-5 is also known as Red Beam	RED-RB-RAT-5	or RBRAT5	.